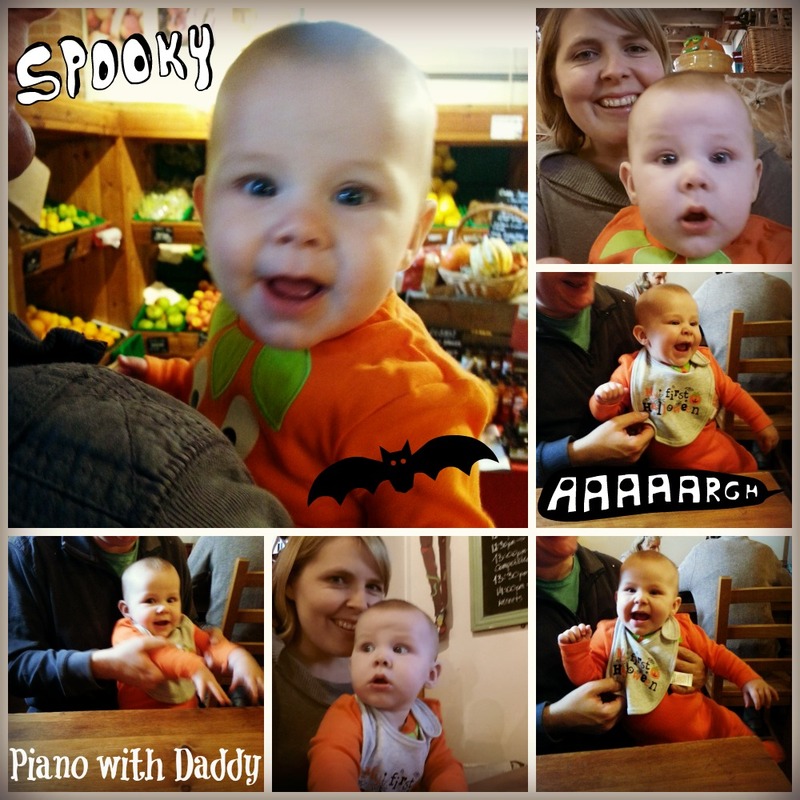 Today we went to the local farm shop as they had a Halloween themed day. This was just really an excuse to dress Baby up as a pumpkin. We were only there a short time, just enough time for a cuppa and a cake. Then after popping to the shop, we pottered around at home and got lots of things done that we needed to. Baby had woken this morning at 6.10am and only had a very short nap all day. She was beyond tired, but she behaved so differently to her normal tired state. She cuddled onto her Daddy, gabbling quietly and sucking her thumb. She missed every opportunity to nap, but instead of screaming and going crazy, she kept smiling, even with bright red eyes. Poor little thing. I am so proud of my little girl today. All day she behaved really well, on what could have been a challenging ‘napless’ day. All day was my ‘Ordinary moment’, for which I am thankful.